FanCons.com announced today the release of an Alexa skill for users of the Amazon Echo, Echo Show, Echo Dot, Amazon Tap, or other Echo & Alexa-enabled devices. Using the skill, Alexa will tell you what fan conventions are coming up this week as part of your flash briefing. To hear it in action, just say, "Alexa, what's new?" or "Alexa, play my flash briefing." 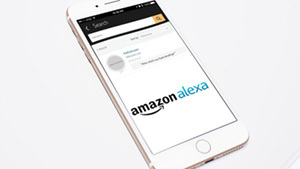 Alexa will play your flash briefings in the order set by your Alexa app. The FanCons.com skill will list all fan conventions taking place between today and a week from now as listed on FanCons.com. A second Alexa skill for AnimeCons.com has been submitted and is awaiting approval from Amazon. As you might expect, it will only list conventions with anime and manga programming as found on AnimeCons.com. Approval is expected in the next few weeks. At this time, Alexa's flash briefings are only available in the United States. When Amazon adds support for other countries, this skill will be available there. If any convention organizers want their convention to be included in the list when their convention approaches, all they have to do is make sure they're listed on FanCons.com by checking the convention listings and using the new convention submission form. Patrick Delahanty is the creator of FanCons.com, AnimeCons.com, and executive producer of AnimeCons TV. He is the host of The Chibi Project, Anime Unscripted, and is one of the founders of both Anime Boston and Providence Anime Conference. Patrick has attended over 150 conventions, cosplaying at most of them.